"This is the day the LORD has made; let us rejoice and be glad in it" (Ps 118:24). On the 18th of November, 2012, the Coptic Orthodox Church enthroned His Holines Pope Tawadros II as the 118th Pope of Alexanderia and Patriarch of the See of St. Mark. His Holiness is the successor of H.H. 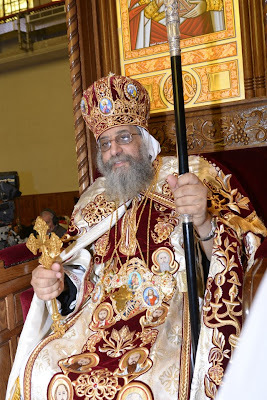 Pope Shenouda III who passed away in March of 2012 after over forty years as the shepherd of all Copts.